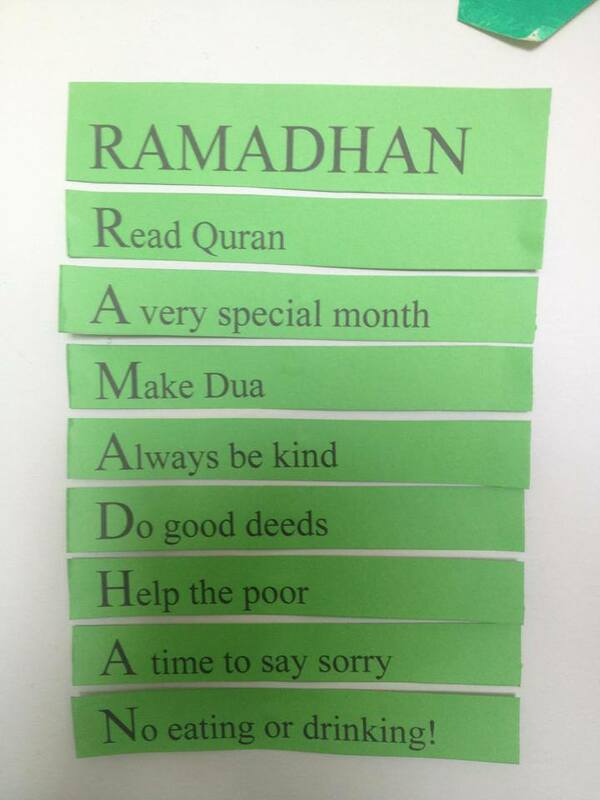 To help recall what the month of Ramadhan is about using a mnemonic of the same phrase. Have the child sort out mixed up verses of the poem and place them into the correct order, to spell Ramadhan vertically. You can then explain how the poem can be used as a mnemonic, using the initial letters as triggers to remember what Ramadhan is about.